BATTAMBANG, CAMBODIA — Nheb Thai slows his motorcycle and gestures toward a woman who is selling meat on the side of the road. He is headed out of the city; the road is still paved, but the surroundings have been morphed. The café-filled city streets have given way to solemn rice fields and powerful palm trees. "Did you see the rats?" Thai asks. He is talking about the long dark objects on the woman&apos;s grill. The rat vendors are something almost every good tour guide in Cambodia&apos;s second largest city of Battambang points out. Quite a few rodent chefs can be found on the road to the Bat Cave, another popular tourist destination in this northwestern city of under 200,000 located in the heart of the country&apos;s rice bowl. Soon Thai plans to open a pizza place for hungry sightseers along this same route. It won&apos;t be his first venture into an industry that attracted almost five million visitors to Cambodia in 2015, by Cambodian Ministry of Tourism estimate. When he arrived in Cambodia 13 years ago, Thai took tourists around on his motorcycle. Later, he worked for a winery that stocked the hotels, then came a stint with an outfit offering jeep tours. Tourism is a natural fit for American-raised Cambodians like Thai. His cousin, Sarith Chan, who grew up in California, offers tours in his Hyundai van. But it isn&apos;t a desire to crack into the tourism trade that brings these men to Cambodia. They come because they are forced to. 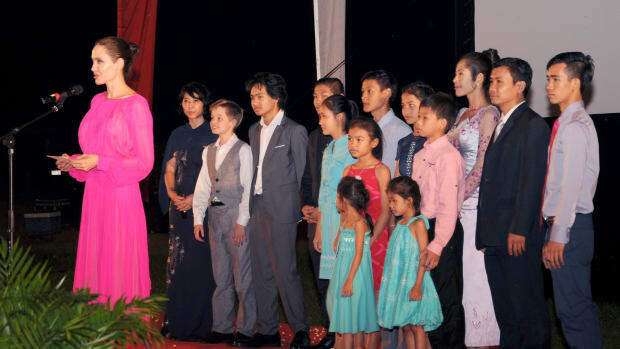 Once legal permanent residents of the United States, Thai and his counterparts were deported to Cambodia after receiving felony convictions in the U.S. The passage of two laws in the 1990s, the Antiterrorism and Effective Death Penalty Act and the Immigration Responsibility Act, led to an increase in deportations of convicted felons by limiting a judge&apos;s ability to evaluate the individual circumstances of a case and expanding the definition of "aggravated felonies," which result in deportation for non-citizens. Deportees began arriving in Cambodia after Cambodia signed an agreement with the U.S. in 2002 agreeing to accept them. Earlier, this year Cambodia announced it wants to renegotiate the agreement. But, for now, the deportations continue. These deportees, or exiles, come to Battambang for family. If they have family left in Cambodia, this is often where the deportees will find them. That is why they come here. They stay because it has proven easier to find work opportunities here than in the busy capital of Phnom Penh. Of course, life doesn&apos;t always play out so smoothly, and family reunions don&apos;t always prove to be joyous occasions. Thai turns off of the paved road and takes a series of smaller paths to his home. The road continues on toward the region&apos;s famous Bat Caves, where thousands of bats fly out of deep caverns at sunset each evening. That is one of the few things Thai remembers from his childhood, playing on this same road. He doesn&apos;t remember much else about the early years in Battambang. The time he spent in Cambodia and Thailand "is like a dream" he says. In reality, it was a nightmare. Thai was born in 1972, three years before the Khmer Rouge took power and implemented a twisted communist regime that turned the country into a national forced labor camp. Nearly two million people were killed or died from starvation or disease during the Khmer Rouge&apos;s four-year rule of terror. Nheb Thai in his yard. Thai&apos;s father never talked about those years. Few of the older generation did. Thai and his family were the lucky ones. They survived and, after spending time in refugee camps, were resettled in San Jose, California, as refugees. But soon after arriving in the mid-1980s, the family was robbed by a neighbor. A series of moves from one bad neighborhood to another followed, most within San Jose, but later to Washington state. The narrative is similar for many of the more than 550 men and women who have been deported from the U.S. to Cambodia. As children on the streets in the U.S., they were often picked on and called names. Home was in some ways no escape, as their parents would beat them for getting into fights. Some of them, like Thai, found escape and safety in banding together. But, in some cases, what started out as drinking and joyriding could lead way to burglary and assault, even murder. And so, from juvenile hall they graduated to prison, from prison to immigration detention, from detention to Cambodia. That was the case with Thai. He spent his youth in and out of juvenile halls, mostly for petty offenses like stealing and trespassing. But over time the offenses grew more grievous: At the turn of the century he was sentenced to 43 months for first-degree burglary. "I didn&apos;t even know what that was," he says of his charge. He also didn&apos;t understand the immigration repercussions: "I don&apos;t know nothing about law." In 2003, three months after his release from prison, Thai was deported to Cambodia. He has been here ever since. Although Thai&apos;s family came to the U.S. as refugees and were legal permanent residents, they were not citizens. It is not uncommon for Cambodian migrants to be either unaware of the steps needed to obtaining citizenship, or, after experiencing the brutality of the Khmer Rouge regime, reluctant to deal with government, says Bill Herod, who has been working in Cambodia with various non-governmental organizations since the mid-1990s. "I often say these folks aren&apos;t being deported because of some crime they committed," Herod says. "They&apos;re being deported because of the paperwork they didn&apos;t complete." Since the first deportees began arriving in 2002, Herod has been helping them. He currently does so through the non-governmental humanitarian organization Returnee Integration Support Center. 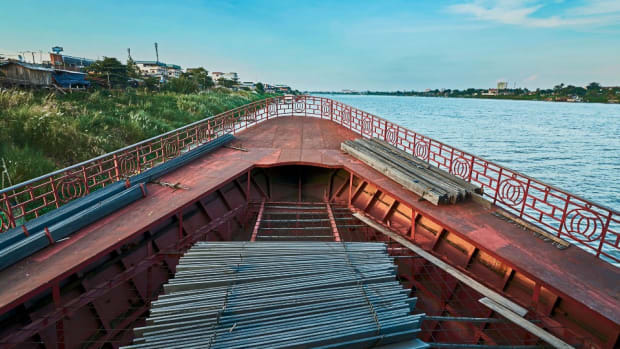 RISC estimates that about half of those sent to Cambodia live in four northern provinces, including Battambang Province, whose capital is Battambang. Van Veth was born near the Bat Cave and resettled with his family in Seattle, Washington. As refugees he says he and his family and friends were robbed, mugged, and otherwise harassed. They would move to a new location to escape, only to have the same thing happen all over again. Veth&apos;s family moved from Washington to California, he says, because "my house got shot up." Veth wasn&apos;t with them when they moved. By then, he was already in prison. He was deported to Cambodia a little over a year ago. "They&apos;re being deported because of the paperwork they didn&apos;t complete." Veth is 42, thin, and relatively tall, dressed in khaki pants and a long button-down white shirt. He received his high school equivalency diploma while incarcerated. He says he did 18 years for first-degree assault and attempted murder. It was while behind bars that he taught himself to read and write Khmer, the official language of Cambodia, and had the word Battambang inked around his neck in Khmer. From prison he went to immigration detention and then to Cambodia where he arrived in late 2015. He spent a week or two in Phnom Penh before moving to Battambang Province to live with an aunt. The experience did not go well. His aunt, he says, was (and remains) a stranger; although she provided him with food and shelter, he says she showed little interest in getting to know him. No one in the house talked to him, he says, and he in turn spoke to no one. Her home in the countryside was a traditional wood home on stilts. Veth slept in a bed under the house. He moved to Battambang city as soon as he could. The times Thai remembers his Cambodian relatives being particularly helpful involved requests for him to get money from his family members in the U.S. His Cambodian relatives would say they wanted to help him start a business, but then ask him to get some money from his American relatives first. "When they see someone from the States, it&apos;s like they see gold," Veth says. 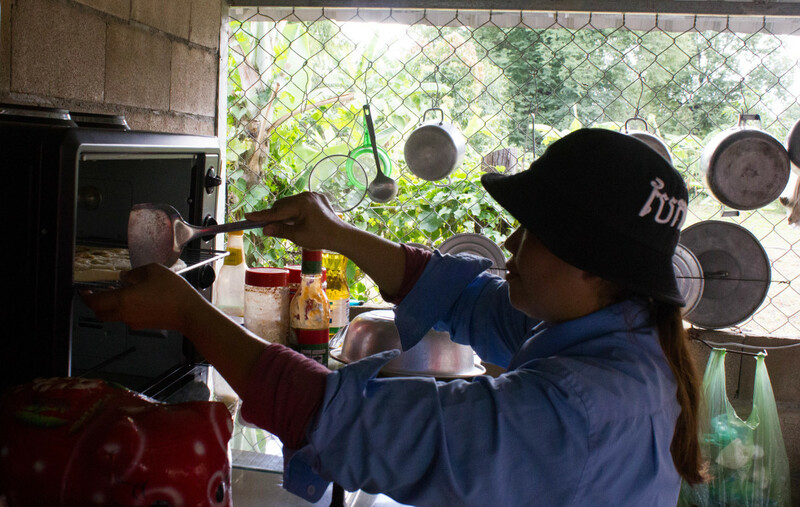 Nheb Thai’s wife, Kim Lun, making pizza in their kitchen. It is something many deportees complain about. Thai has been in Cambodia long enough to see it from both sides now. The woman he married he met through family; she is his stepmother&apos;s niece. 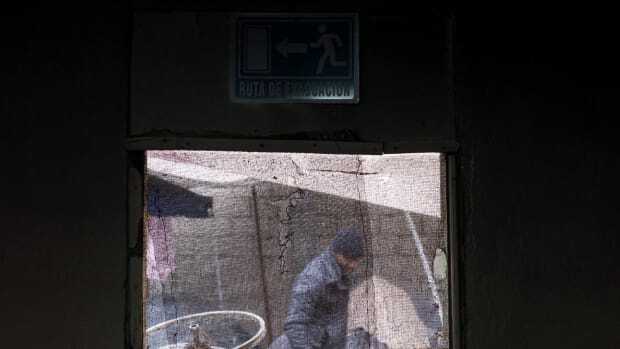 Many of the families here in the country are poor, he says, 10 people living in one small room. 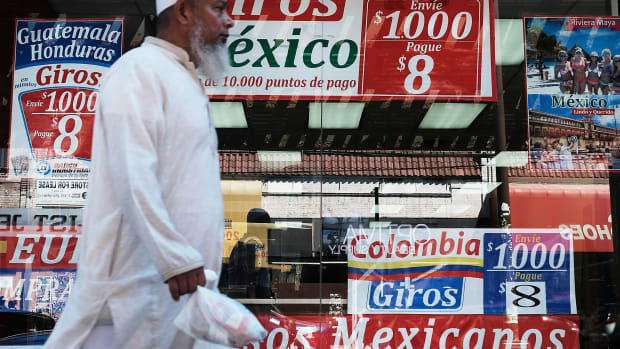 The family members on his father&apos;s side he stayed with when he first arrived were better off, but still he says they would frequently ask him to call his father in the U.S. and ask for money. Families in the U.S. are known to send money to family members in Cambodia who are caring for deportees, many of whom prefer the term exiles. The family in Cambodia considers this their money, while the exiles consider it their money, Herod says. It is just one of the many culture clashes that occur between exiles and their Cambodian relatives. Most of the families are peasants with limited education and not much of a worldview, Herod says. They "have no remote understanding of what the returnee has been through as a refugee moving to the states, being in prison...."
In all his years working with deportees, Herod has dealt with several cases of families trying to confine the deportee. Worried the deportee will get in trouble with the law again, they will do things like forbid the exile from socializing, drinking, or going out with friends. Add in the resentment felt toward someone lucky enough to have made it to the U.S. who then "blew it" and there is little chance of things working out well. "These are all good people operating on good instincts, but it just went sideways," Herod says. In his early years, around 2002, Herod secured a number of jobs for returnees in the tourism industry in Phnom Penh. Unfortunately, several of them decided working in a five-star hotel presented an ideal opportunity to make money by controlling prostitutes. Another was fired after injecting drugs. Then there was the one who simply walked away, not wanting to show up at 6:30 in the morning every day for the small salary he was earning. "So it all came tumbling down," Herod says. "We lost all those jobs." In Battambang jobs are harder to come by, but there is also more room for growth, more space to be the first, says Ry Mam, a southern California transplant who now, serves pancakes, Cuban sandwiches, and other "American" favorites at his restaurant, Ry&apos;s Kitchen. 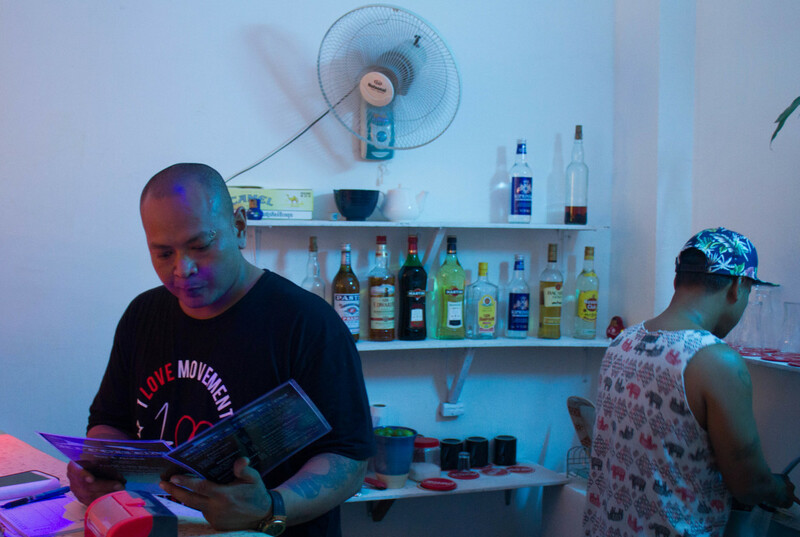 "I&apos;m trying to get the edge over here because in Phnom Penh there is too much competition," says Mam, a large man with a soft voice. "Over here it&apos;s growing and you kind of want to be the first ones to be around." Ry Mam looks over the new menu at his restaurant, Ry&apos;s Kitchen. It is a Friday afternoon in late January and his ground-floor restaurant lounge is filled with English speakers, a soft but heavy beat pulsing in the background. Several European women play Scrabble at a corner table, a German girl eats ice cream on a couch, and a group of exiles smoke and drink sodas and beer. Upstairs is a café and a library. There are plans for a rooftop garden and a conference room where people can hold meetings and watch sports. It all sounds very California, which is where Mam spent much of his life. Like many of the others, Mam, who is 41, was born in Battambang. He was two when he was resettled in Utah with his father and older brother. They later moved to Los Angeles, then Bakersfield. His mother and a sister stayed behind in Cambodia. There is a story there, but Mam doesn&apos;t know it. As is often the case, he never asked his father about the Cambodian genocide. He doesn&apos;t even know why he was initially placed in a foster home in the U.S. By the time his father retrieved him he was five years old and spoke only English. His brother had to translate when he wanted to speak to his dad. As he got older, Mam spent less time at home and more time getting into trouble: gang fights, stealing, breaking and entering, possession of a firearm. He wound up spending time in prison after he was caught stealing a mini van, and then again for selling crack cocaine. When he arrived in Cambodia over six years ago he continued his ways at first, smoking marijuana and drinking heavily. Once he did decide to pursue a serious career path, it took a while for people to trust him. But that was then; now, his restaurant is earning write-ups in publications around the world. Sitting at the bar looking over his new menus, Mam explains that he feels more free in Cambodia than he did in the U.S. Life is simpler here, less stressful, especially in Battambang. Thai feels the same way. He laid the concrete base for his pizza joint himself, welded the metal frame, and is currently attaching the thatch roof, all things he feels he would have needed to jump through hoops to do in the U.S. Here, as long as you have the money, you can build what you want. Pizza Happy Cambodia is more "country style" than Ry&apos;s Kitchen. Thai&apos;s wife makes the pizza using a recipe given to her by an American couple. Before eating, Thai washes his hands in the pond in front of his home. 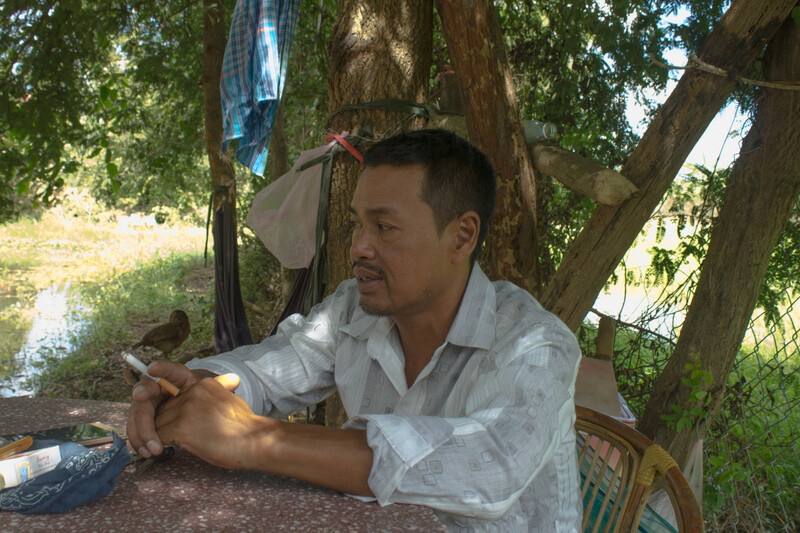 When he first arrived in Battambang he showered in the pond and used a car battery to provide electricity for the house his father built him. Now he pumps the water from the pond into his house and has a more dependable source of electricity. His father was only able to visit him once and has never met his two daughters; Thai doubts he ever will. He says his father is close to 80 now and the trip is too long for someone of his age and health, it is also expensive. Even if he could, which he can&apos;t, Thai no longer wants to return to the U.S. But not all exiles have managed to adapt so well. Thai pulls out his cell phone flipping through pictures until he comes to the image of a lifeless young man laid out for burial. The man, a fellow exile, died last year. Doctors warned him to stop drinking, but he refused to give it up, too depressed and homesick to remain sober, Thai says. Twenty-six exiles have died since 2002, according to RISC. Herod would classify about a dozen of those as suicide: diabetics who purposefully stopped taking insulin, men warned not to drink who kept drinking, addicts who overdosed. The exiles try to support each other, gathering at monthly meetings at Veth&apos;s compound or in the afternoons at Ry&apos;s Kitchen. For some, this is their family. Mam has real family here, a sister, the one left behind when he went to the U.S. with his father and brother. She lives in the city, yet in the more than six years he has been here he has never visited her. He says he has been too busy, but when pressed admits: "I&apos;m not ready for that yet." 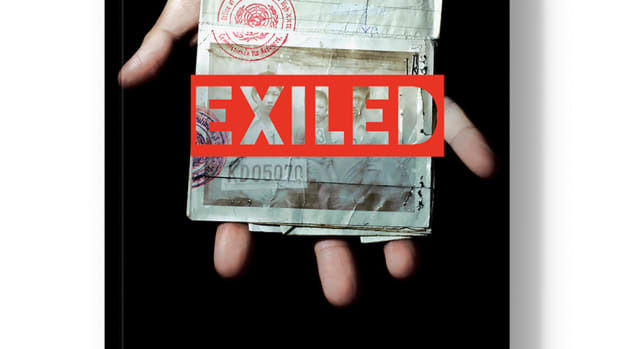 Katya Cengel is the author of the forthcoming Exiled: From the Killing Fields of Cambodia to California and Back. Despite Trump’s proposed wall, Haitians living in the shadows of Tijuana plan to risk dangerous journeys to make it to the U.S. 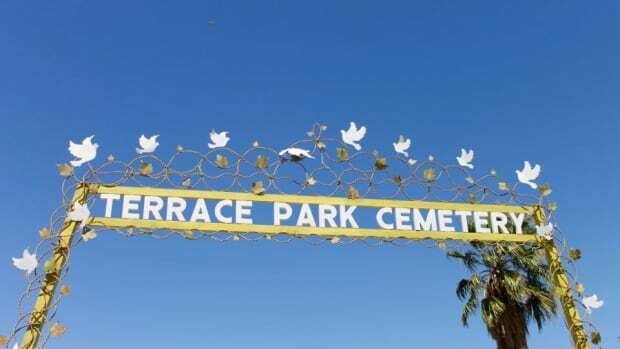 In one tiny California city, a graveyard for those who died in quest of a new life.